PRODAT is a supplier of full range automatic measurement systems and sensor networks. 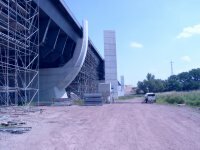 An example is PRODATs largest project: monitoring of the canal bridge at the waterway junction Magdeburg. The system ZK1000 is used for that purpose. Sensor networks are a sensing, computing and communication infrastructure that allows to instrument, observe, and respond to phenomena in the natural environment, and in our physical and cyber infrastructure. The sensors themselves can range from small passive microsensors to larger scale, controllable weather-sensing platforms. 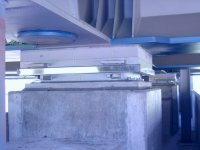 PRODAT with long experience in desgin and realization of measurement systems participates in this trend and offers system as well as design solutions for its customers. Especially in wireless sensor networks which has become increasingly important in the industrial sector, PRODAT and its research partners take the challenge and use new technologies to offer higher flexibility in its solutions. The waterway junction Magdeburg is the main focus of the traffic route project no. 17 and consists of altogether five buildings. The watergate Rothensee, SCHIFFSHEBEWERK Rothensee, the canal bridge across the Elbe, the double watergate Hohenwarthe and the watergate Niegripp. The canal bridge is the building PRODAT with its measurement system currently works on. Europe's longest channel bridge is 918m long and consists of the 228m long stream bridge and the 690m long foreland bridge. The work started in march 1998 and the completion is planned for the beginning of 2003. The task, which needed a solution, was the realization of a system for determination and optimization of bearer load allocation as well as measurement of the glide and tip gap and water level. The flexibility of the system made it easy to integrate temperature values later on into system. In reality more than 750 values are evaluated. 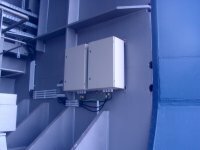 The PRODAT ZK 1000 modularized measurement system employed, continuously collects data on bearing forces and measurement of the glide and tip-gap, as well as the levels of over 750 individual sensors, which were integrated into the canal bridge and makes them available to the central bridge computer for evaluation, analyses and visualization. Sensors provide measured values in analog or digital data whereas the kind of sensors used is irrelevant. The measurement amplifiers module (LM) amplifies and digitalizes values. The modules can be connected with each other through a data bus. The P-system (PZ) polls the values provided through the LM systems. It also has enough computational power to preprocess measurement data. It is equipped with display, control panel and various communication ports. By using t-coupler and repeater units (OR) the system is expandable across long-distances. For this purpose a double fiber optics ring is used. Finally, the central measuring unit (PZ) collects all the data and archives is for later use. This task can be done by a normal desktop pc or in harsh environment through an industrial solution.